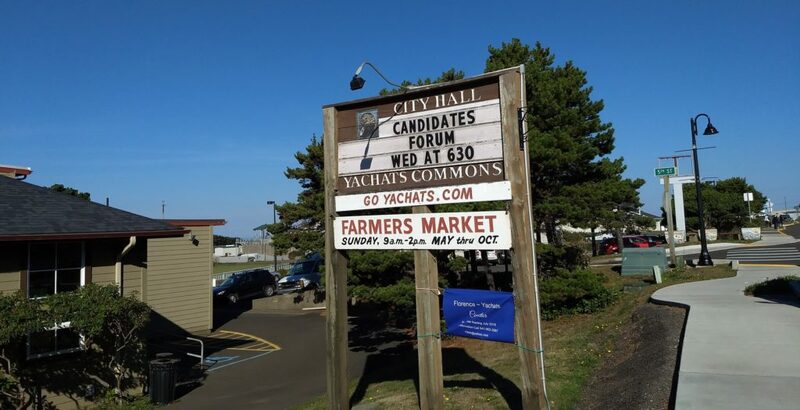 I’m speaking at the Yachats Candidates Forum tonight for city and county candidates on the ballot in the November election. I set this entry to go live at 8:25 PM when City Council candidates take the stage. Below you can read a copy of the opening and closing statements I prepared to give. I’m James Kerti. This Friday marks three years since I moved to Yachats. But I must say, I figured out pretty quickly that Yachats is the place where I feel at home. I look out and I see a lot of familiar faces tonight. I know from talking with many of you that we all have special stories of feeling called to live in Yachats. That means something — for each of us. Now I only have about three minutes, so I can’t tell you my whole story now, but I’ll tell you this. For me, living here brings a strong feeling of wanting to give back to the community. That’s why I joined the planning commission and the budget committee. That’s why I volunteered with the Yachats Academy of Arts and Sciences that gives presentations in this room, and also the Oregon Coast Humane Society down in Florence, where I help with the animals. My involvement with the local government here, as a member of the planning commission and budget committee, helped me understand what we need on City Council. We want Councilors who listen to us, who put in the work to understand the problems we face, and who are willing to ask questions and look at the big picture. Especially as we face the challenges of a changing economy and a changing climate, it’s important for a Councilor to think strategically and long-term. Because when it comes to policy, decisions matter. Priorities matter. My experience on planning commission and budget committee, as well as my professional work as a website designer, basketball scout, and strategic planning analyst, put me in a position to represent you and make sure you’re getting what you need — so that the government here works for you. To me, that means protecting our natural resources and making sure we all have enough clean and affordable water. It means being willing to listen — and going into the job without a personal agenda, or trying to make a name for ourselves. Through the planning commission and budget committee, I understand the level of preparation, hard work, and the mindset it takes for local government to be productive. Having already worked alongside the Yachats City Council in this capacity, I know where Council is right now — and I can see where the next Council could take us. I’d like the opportunity to be a part of driving that. I believe I have the experience and the temperament to contribute in this position and to represent you. Thank you. I checked with the Lincoln County Clerk’s office and I learned something interesting that I want to share with you before we leave tonight. This is the first time since 2010 that we have a contested race for City Council here in Yachats. Furthermore, this is the first time that we have four people running for the two positions on City Council in 18 years, since the November 2000 election — hopefully our election will go more smoothly than that one did. But regardless of the outcome in three weeks, I believe that this level of engagement and wanting to be involved is a really good sign of what the future holds for Yachats. I humbly ask that you vote for me, James Kerti, for City Council this November so that I can help make that future for Yachats the one we all want it to be.